Today’s solo episode focuses on the importance of team chemistry and culture. Regardless of how much talent a team has, the strategy, or even the value of the specific service or product being created and offered, without a strong culture, a team can’t truly succeed. I share some principles and examples of great culture, and ideas for what you can do to infuse your team with winning chemistry. [1:50] Announcement! I have signed on to write my next book with the wonderful publisher, Hay House Business. The working title, subject to change, is We’re All in This Together: Creating a Team Culture of High Performance, Trust, and Inclusion. [5:05] The culture of our group is more important than the strategy or plan. [6:29] The chemistry of a team, or culture of a business, absolutely has a profound impact on the success and the results of that organization. [20:25] I share an example of how my time in baseball and sports taught me to leave it all on the field and give my best effort despite circumstances out of my control. Deliver excellence in everything we do. Build lasting relationships based on trust. Nurture your personal and professional life. Be authentic, grateful, and humble. Be real and authentic. The more open and vulnerable you are, that’s contagious. 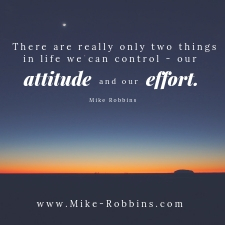 You can control two things — your attitude and your efforts. Be proactive and positive. [28:51] Golden State Warriors exemplify great culture. They play with joy and have fun while rooting for each other.